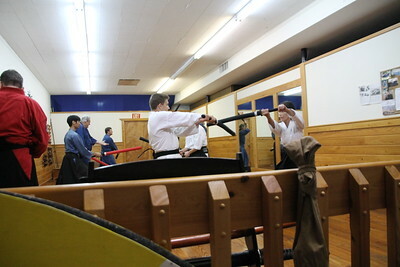 Last week select advanced belts from your Tiger Karate Team traveled to the Toyama Ryu Sword School in Orlando, Florida in an effort to both acquire a new skill set in the ability to cut with a razor sharp Katana, but to also instruct their advanced students in the practical application of sword techniques in actual fighting. 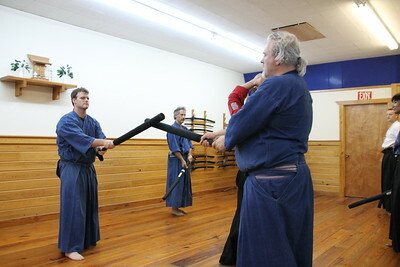 The results were outstanding. 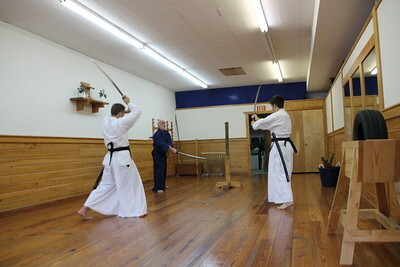 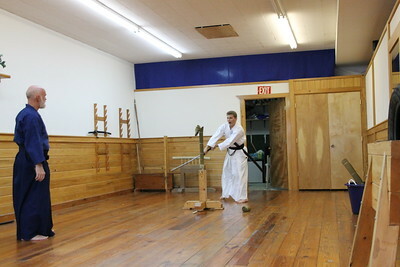 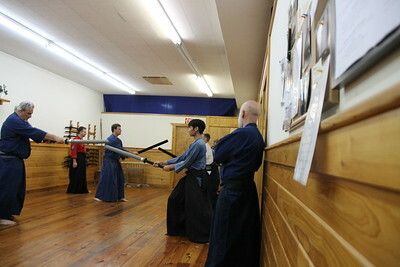 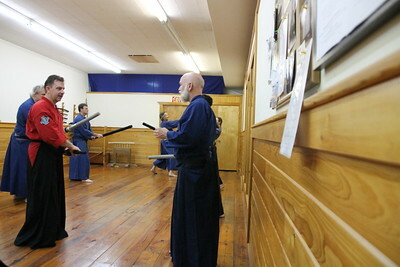 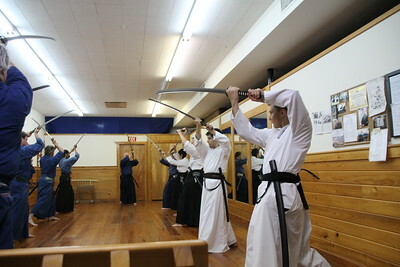 Despite the fact that the team members have recently been concentrating on unarmed hand-to –hand combat, they performed exceptionally well using the great Japanese sword. 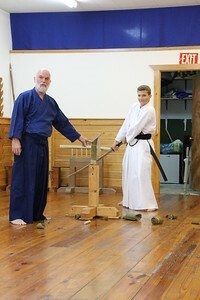 Sensei Bob Elder of the Toyama Ryu School astoundingly declared several of their cuts to be technically “perfect”; a feat unheard of in the initial stages of instruction. 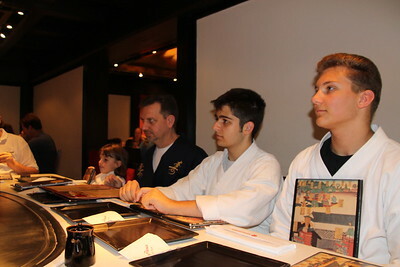 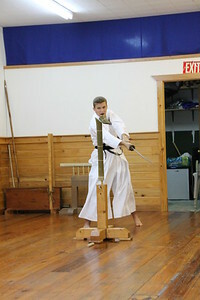 He said their performance was a testament to both the quality of their instruction and their dedication to the discipline required for the Martial Arts. 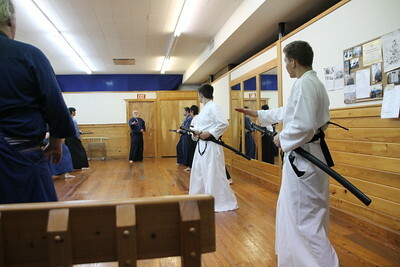 Next, Sensei Heller, Senior Logan Field and Junior Ronnie Cantin first demonstrated, then instructed Sensei Elder’s advanced students on the practical aspects of sword-fighting. 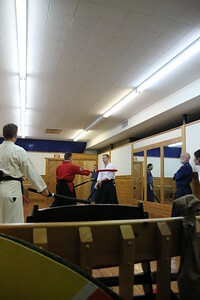 Though their martial arts styles are similar, both benefitted from this interdisciplinary, co-operative learning exercise. 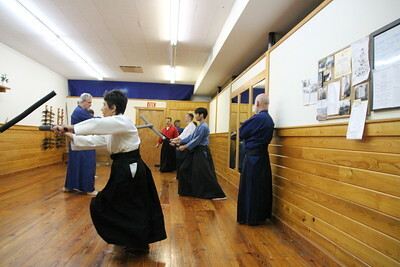 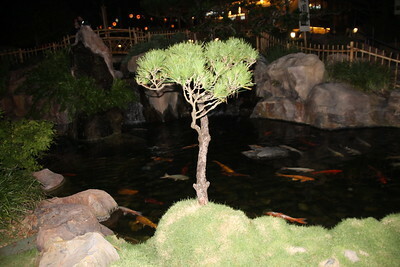 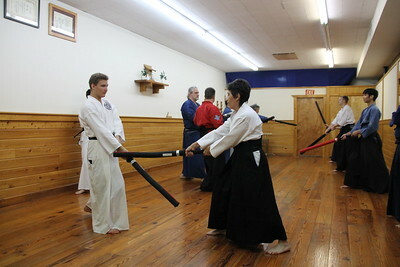 Originally, Sword-fighting , called Kenjutsu, was taught in the same dojo as such styles as Aikido, Judo, Ju-Jitsu, and Karate, so many of the basic techniques are identical. 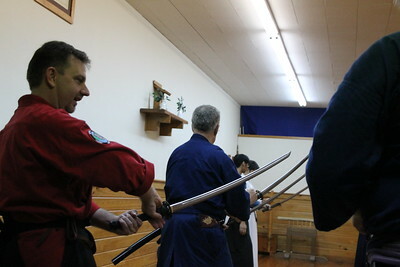 As a result of the Team’s impressive instruction, Sensei Elder invited them to participate, demonstrate and compete in his Iaido Tournament. 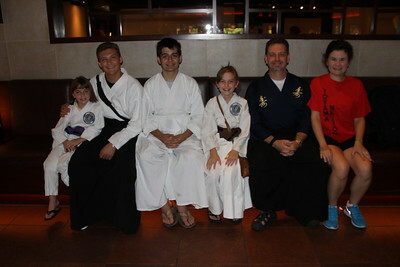 In addition to all of this, the team scouted out the location and facilities at Disney’s ESPN Wide World of Sports where your Tiger Karate Team was invited to host the Weapons Division of the 2013 International Martial Arts Festival. 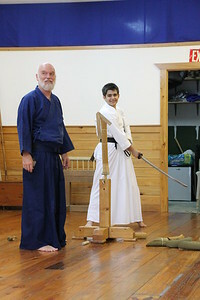 Sensei Heller would like to thank all those families, faculty, staff and students who have supported the Tiger Karate Team throughout the years. 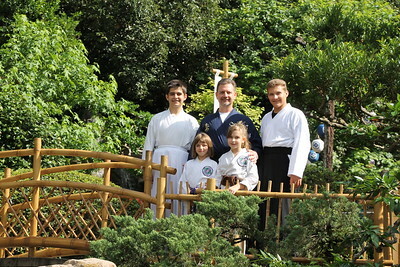 Quietly, like a ninja in the night, we hope that we have fostered the fame and reputation of Holy Cross not only in America but abroad as well. 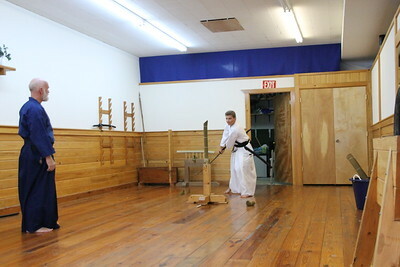 The Karate Team still accepting new members. 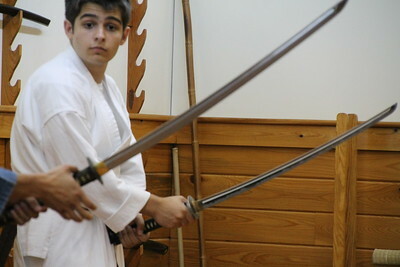 Email Mr. Heller at theller@holycrosstigers.com for further datails.